All shows, which include an interview by Billy Branch and a performance, are FREE at 7pm in Café Logan. KINDA WONDERFUL. It is an extremely rare moment when I find something I really like on Facebook, but today I did (mark your calendar). The Fall Line Blues Project is a collaboration between Jontavious Willis, Henry Jacobs and others who have a goal to preserve the music being played in the Fall Line region (Georgia, Alabama and further). Like many things in the blues, it is a labor of love. I listened to the Eddie Hinton interview and performance and it was...kinda wonderful. IT'S ABOUT TIME. There's a new 60-minute documentary produced and directed by Jesseca Ynez Simmons about our local blues treasure, the great Mary Lane. I Can Only Be Mary Lane will be screened (I think) at Mary's two November appearances at Legends: Friday, Nov. 16, and Sunday, Nov. 25, which is also her 83rd birthday celebration. Mary also has a new CD on Women of the Blues Records, a partnership between Lynn Orman Weiss and Alan Winkler's OWL Media and Music. The CD, titled Travelin' Woman, will be released on Dec. 1, but will be available in advance at her appearances at Legends this month. CANADIAN BLUES. 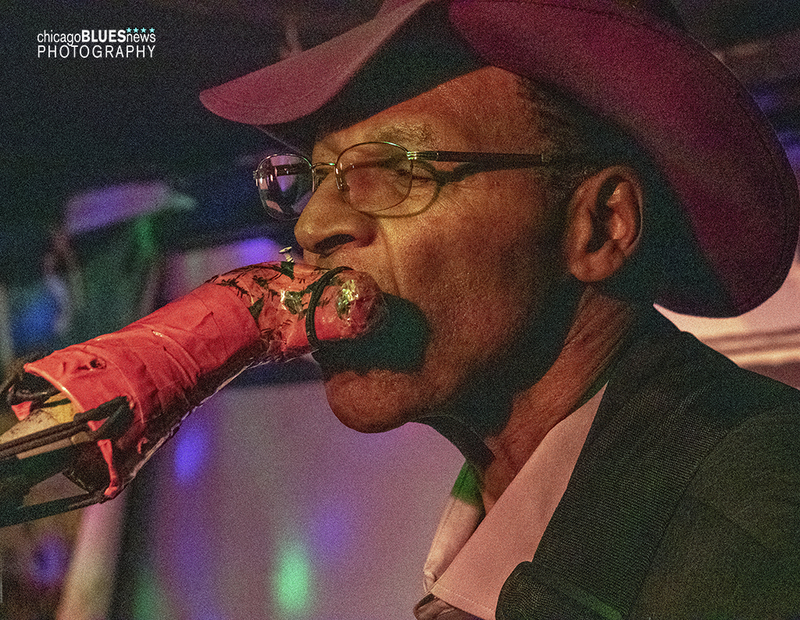 Three Alligator artists have been nominated by the Toronto Blues Society for its 2018 Maple Blues Awards. 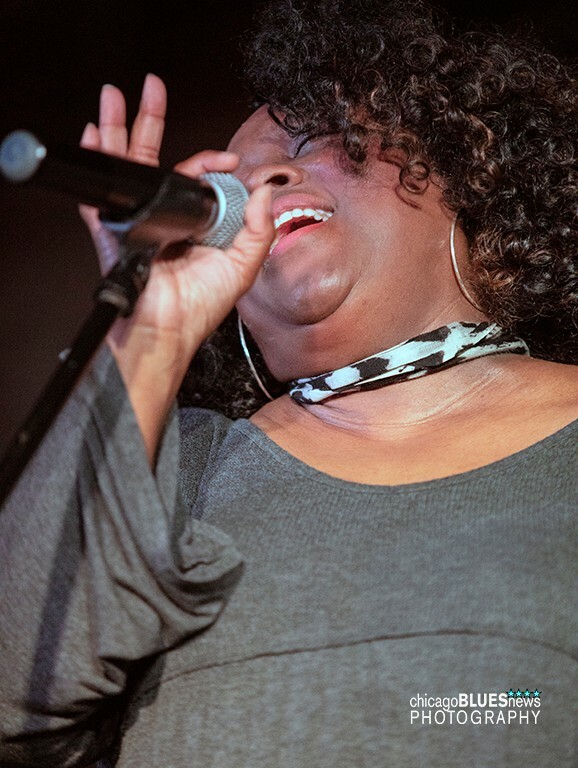 Alligator artists Rick Estrin and Shemekia Copeland, plus Buddy Guy, Ghost Town Blues Band and Mavis Staples, were all nominated for the BB King International Artist of the Year award and Halifax native Lindsay Beaver was nominated for the Drummer of the Year Award. And no, you cannot vote....unless you live in the Great White North. I just thought you'd like to know. The awards ceremony will be held Feb. 4, 2019, in Toronto. THE SOUND OF (SUBURBAN) MUSIC. 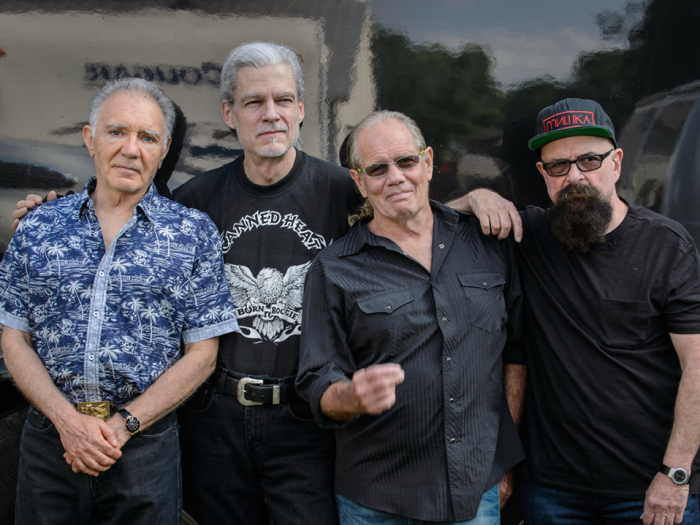 A project of the Fox Valley Music Foundation and the City of Aurora is one of 25 finalists for the 2019 Levitt AMP (Your City) Music Series. 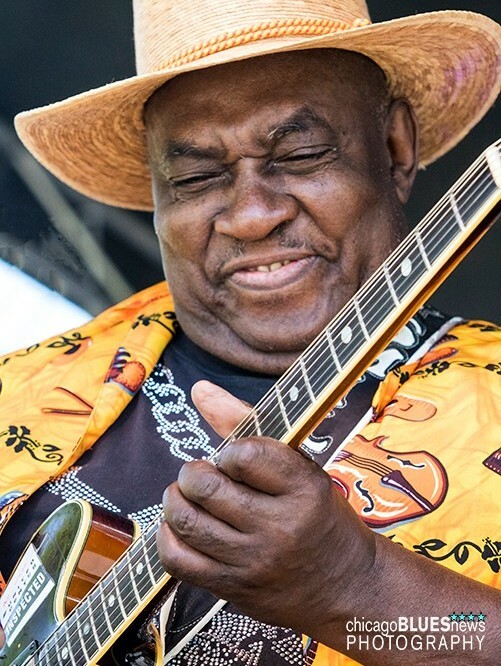 The Levitt AMP program provides $25,000 each to up to 15 cities, allowing those cities to offer a 10-week series of concerts featuring multiple styles of music (which hopefully will include some blues). The Aurora concert series would be held in the newly improved Agnes Mundy Park on South Broadway. Mundy Park is next to the Fox Valley Music Foundation’s soon-to-open Aurora music center, called The Venue (21 S. Broadway, Aurora). It will be both a performance space and home to the Fox Valley Music Foundation. There also will be educational programs about music history, interactive workshops and clinics, open jams and a meeting place for musicians to collaborate and create. All voters must have a valid email address, Facebook or Google account; be residents of the United States and its territories; and be at 18 years of age or older at the beginning of the online public voting period (which was NOV. 1). Levitt Foundation employees, board members and interns are prohibited from voting for any Levitt AMP proposals during the public voting period. Online voting continues through Nov. 20. A REALLY GREAT CAUSE. 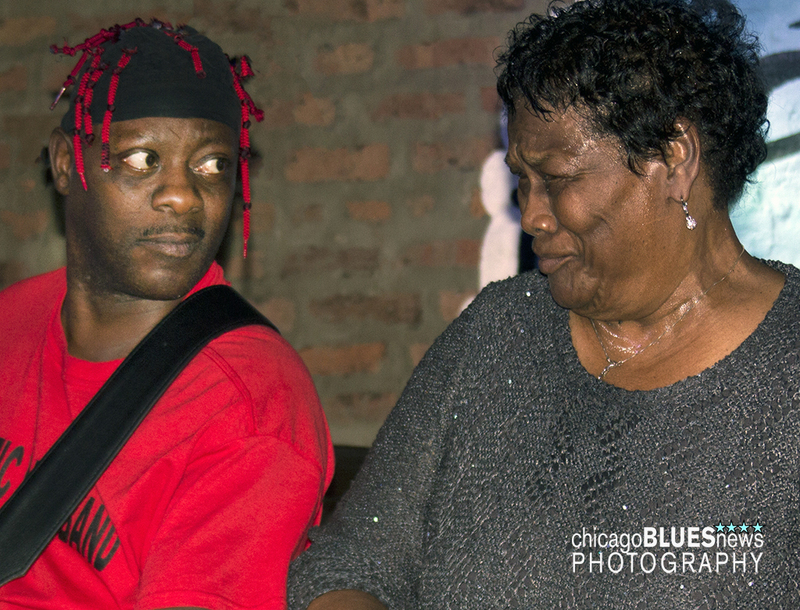 Dr. Dan Ivankovich (aka Chicago Slim in the Chicago Blues All-Stars) is having an online fundraiser for his OnePatient Global Health Initiative, a nonprofit organization committed to providing resources for accessible health care in underserved populations, without discrimination and regardless of ability to pay. BORDERLINE BLUES. The Kentucky Headhunters' Live at the Ramblin' Man Fair will be released by Alligator on Jan. 11. 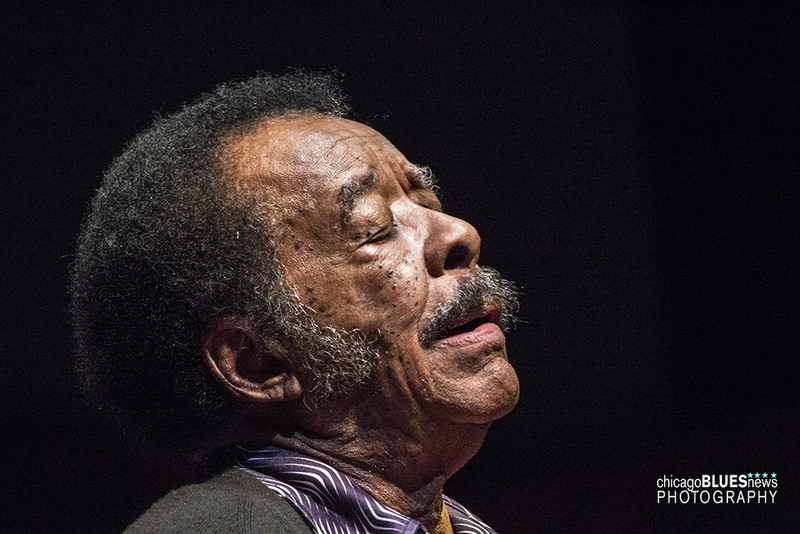 It also includes three studio tracks from the Meet Me in Bluesland sessions by legendary blues pianist Johnnie Johnson (Chuck Berry's keyboard player). COOL SIDE NOTE: If you have Amazon Prime, you can listen for FREE to Meet Me In Bluesland online. HOLIDAY SHOPPING. 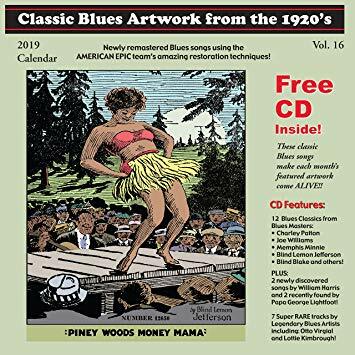 The 2019 blues calendar of Classic Blues Artwork from the 1920s with an accompanying CD (23 tracks) will be available through Amazon on Nov. 16. Note that this version has newly remastered tracks using American Epic's restoration techniques. It is also available from Alligator. BORN IN CHICAGO. The great movie about Chicago harp legend Paul Butterfield, Horn from the Heart: The Paul Butterfield Story, opens tomorrow at the Gene Siskel Film Center. I know I told you that last week, but there's more you need to know. Three of the eight showings (Friday, Nov. 9 at 8pm, Saturday, Nov. 10 at 5pm and Sunday, Nov. 11 at 2pm) will also include an audience discussion with film director John Anderson and musician Corky Siegel. Not only that, John Anderson will be on Live from the Heartland Saturday morning. HELP TIM AUSTIN. The fundraiser to help Tim Austin, Buddy Guy's legendary drummer, with his medical bills is still pretty far from its stated goal. Give whatever you can to help. HOLI-DAZE. Because Turkey Day (or Tofurky Day if you are Vegan) is upon us, there will be NO NEWSLETTER for NOV. 23–29. I am still debating with my boss on exactly how much I want to work during the month of December (probably not too much). Don't worry, though. You will be the 2nd to know. I know that last week I said that there would be more photos from this jam online this week, but I lied. Actually, I took a close look at the photos and decided that they belonged in the trash, not in an online photo gallery. It was a combination of a generally bad attitude night on the part of the photographers and that #$#@!%! disco light that supposedly sets the mood. Hmmm. The photo above, though, was interesting if only because of the one-of-a-kind harp holder Bib Daddy crafted.